ISBN 9780988589715, Published in 2015 by the Author, Avalon, Victoria, Australia, hardcover in printed laminated boards, A4 size about 21 by 30 cm., 8 by 11.5 inches, 87 pages, illustrated with color photographs throughout. Although this book first appeared in 2015 this is the first time that we were able to obtain a few copies that we could sell. 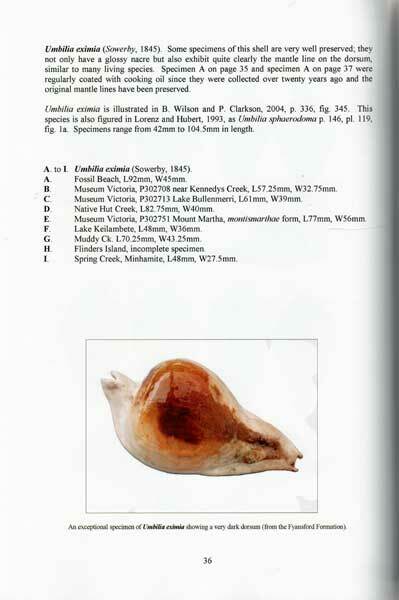 The aim of the book is to present a photographic record of all the fossil records of Cypraea, Trivia, and Ovula shells found in Australia. It is a thorough study of these shells that at various times from the Late Eocene period through the Late Pliocene. Many of these shells have very strange shapes and sizes and many look as if they are very like the species found in Australia's recent cowrie fauna. 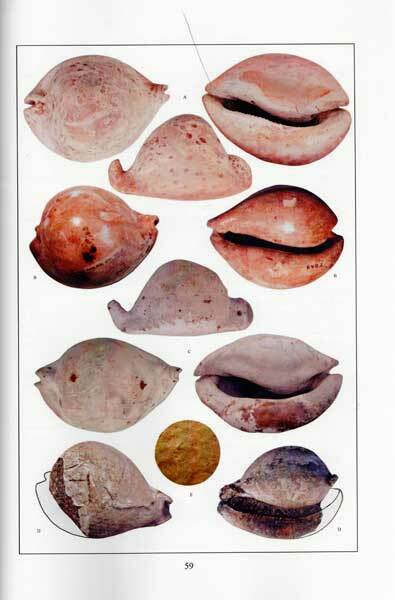 I think that every Cypraea collector will be fascinated with this book. 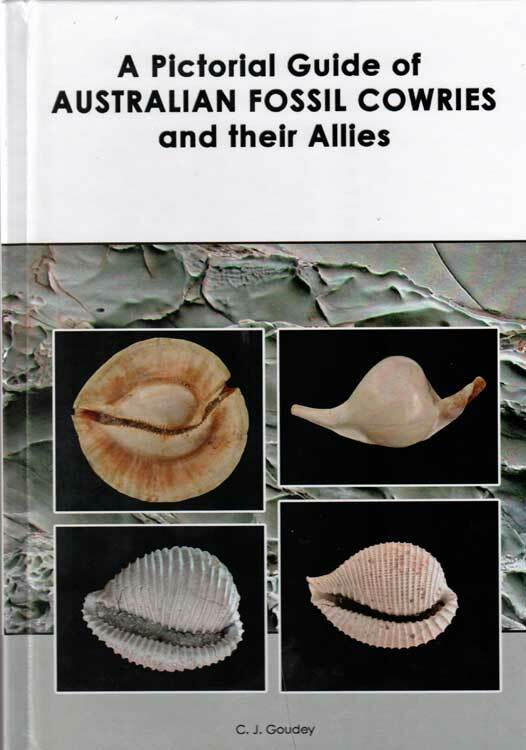 And the book serves as a reminder that today's molluscan population did not come into being as we know it, but that it has a long evolutionary history that proceeded it. These are new books but I was only able to get 4 copies of it. I know they will sell rather quickly and I will try my best to get a few more copies. I recommend this book without hesitation. 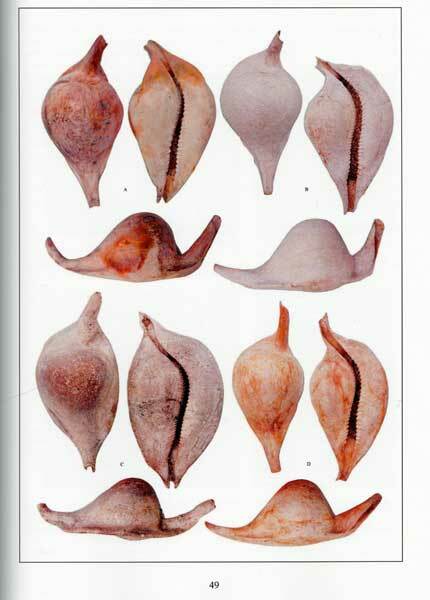 The photographs are excellent and the shells selected for illustration are in wonderful condition for fossil shells. There is a very fine introduction and there is a discussion of each of the genera within the families.